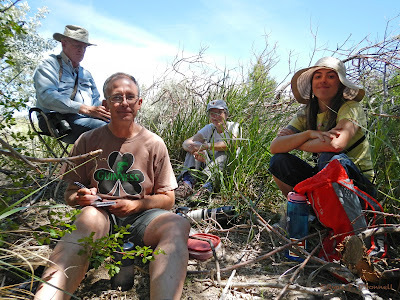 On Saturday I led a trip for the Bridgerland Audubon Society to the west desert of Box Elder County, Utah. Our main goal was to visit some of the famous "migrant traps" in the area. 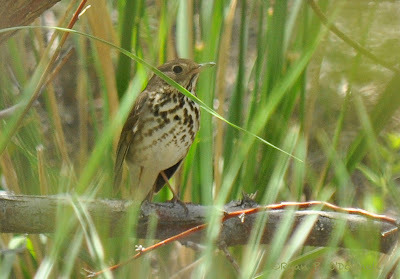 This area, north of the Great Salt Lake, is well known in the state for being one of the most consistent places to find rare eastern birds in migration. 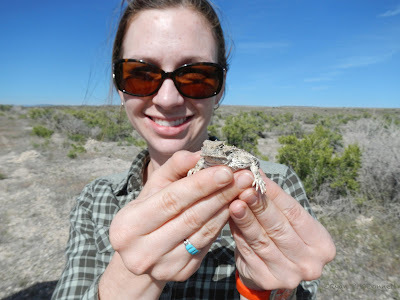 There are several small freshwater springs surrounded by miles and miles of sagebrush, salt flats, and hypersaline water. As migrating birds pass over the area, they are drawn like magnets to these migrant traps in search of a drink, a snack, and some rest before continuing north to their breeding grounds. We met early, 5:00 AM, so that we would have a full day of birding despite a nearly three-hour drive to our first stop. We chatted about some of our rare bird fantasies for the day, discussed the plan of attack, and then headed west as the sky was starting to get light. After a brief stop for gas in Snowville, our first birding stop was along Highway 30 in one of the best areas for FERRUGINOUS HAWKS in the state. 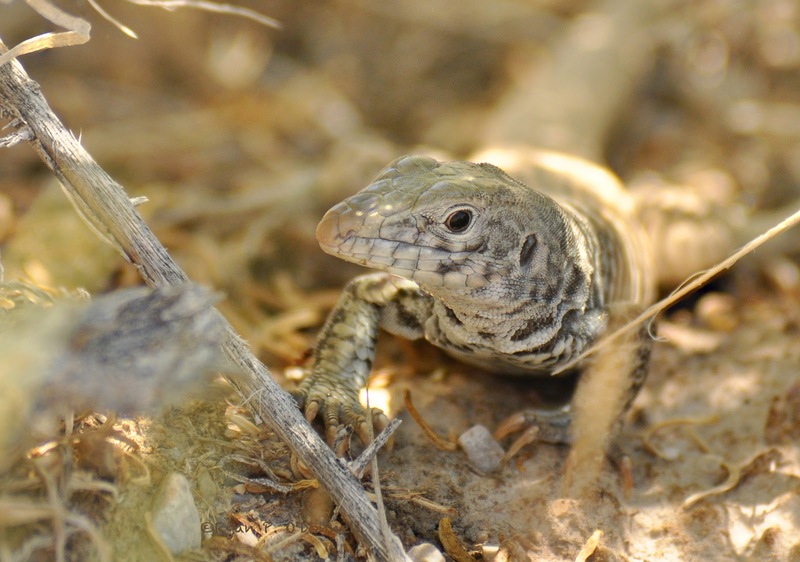 We got close looks at an adult light morph here, the first of about four in the next couple of miles. After this brief stop, we continued on to Lucin, our first migrant trap. Part of the BAS field trip party scoping a distant Golden Eagle nest from Lucin. One of at least four WILLOW FLYCATCHERS at Lucin. This is not a rare species in northern Utah, but it felt odd to find them perched on barbed wire and surrounded by sagebrush and greasewood! Bob, Craig, Terry, and Leah eating lunch in the shade. A migrating HERMIT THRUSH stopped for a rest at Owl Springs. Overall, we had a great day of birding in some very unique locations. 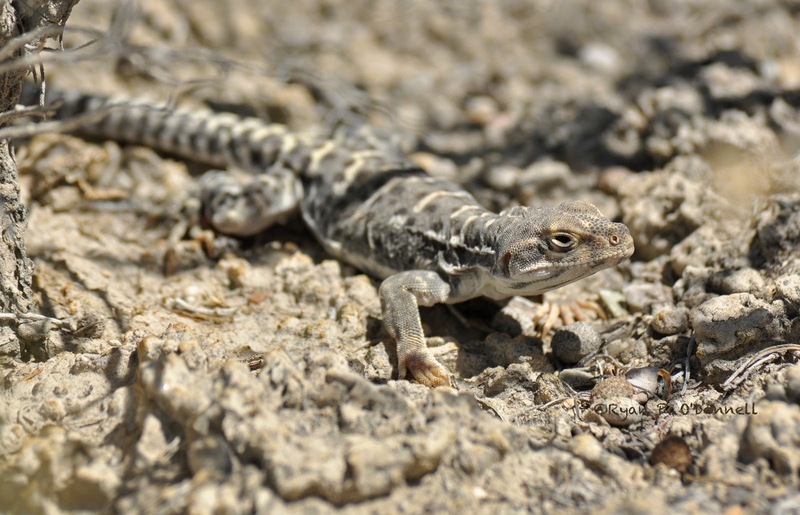 While we weren't able to pick up any rare eastern vagrants, we saw impressive numbers of some expected western species in habitats where they are not found except in migration. Along the way, we got some great experience identifying a lot of Empidonax flycatchers and learning other valuable tips about how to identify sparrows from tail patterns, how to tell some of the female yellow warblers apart, and how to identify Catharus genus thrushes. 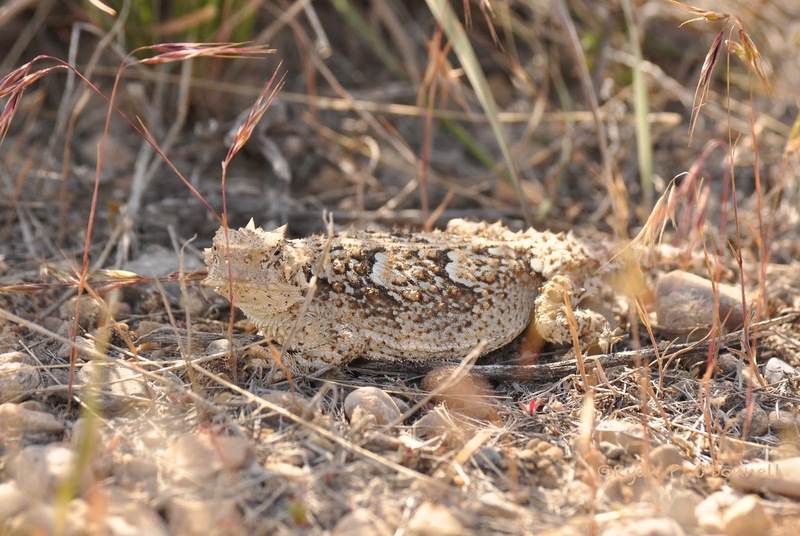 On the way out of our last stop, we added the highlight of many people's day, a large adult DESERT HORNED LIZARD. It was great to end a good day in the desert with this popular and iconic species. 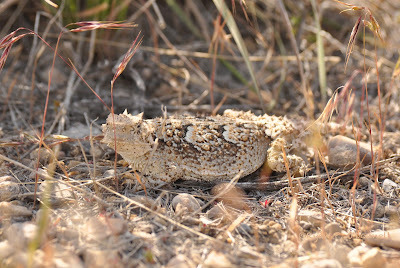 Desert Horned Lizard near Locomotive Springs WMA. Kendal posing with the Desert Horned Lizard. 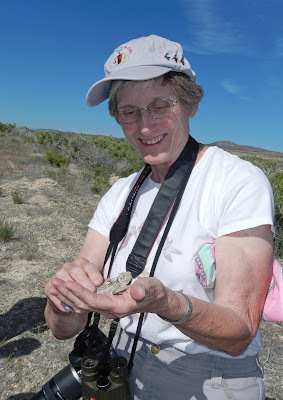 Terry holding the Desert Horned Lizard. Thanks, Carole! It was a fun trip!